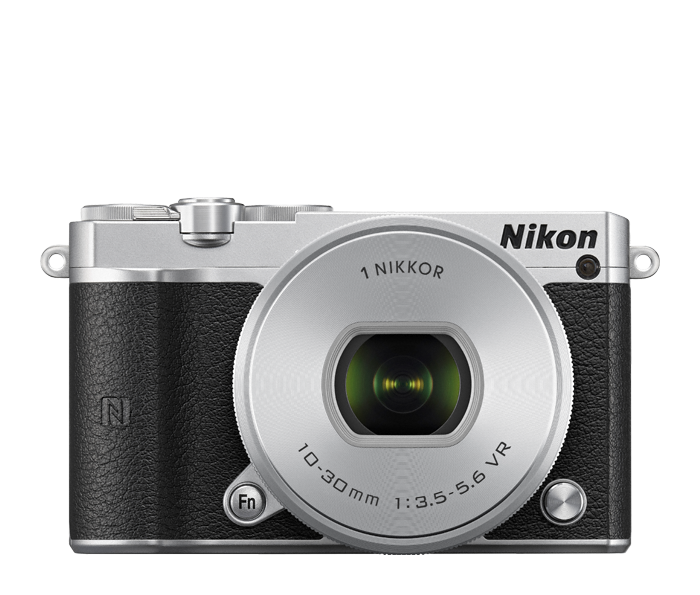 Capture in 20.8-megapixels of dazzling resolution. 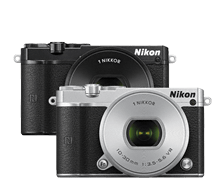 The Nikon 1 J5's all new back-side illuminated (BSI) CX-format CMOS image sensor gathers more light than a traditional CMOS sensor, enabling faster shutter speeds and enhanced low-light capabilities. Nikon's new EXPEED 5A image processing assures rich colours, smooth tones and razor-sharp details in every photo and Full HD video. And when the light is very low, shoot all the way up to ISO 12,800 with no fear of noise—High ISO Noise Reduction stacks four separate images for clean, sharp low-light results. Quickly and easily send photos wirelessly from the Nikon 1 J5 to a compatible smartphone or tablet± using built-in Wi-Fi and NFC. Once connected, you can use your compatible smartphone or tablet to share your Nikon 1 J5 photos while on the go and even control the Nikon 1 J5—see what the camera sees and take pictures!